Even though they’ve had their heads in books all semester, giving books to your college student is still the perfect gift. It’s also a good way to help start their own personal libraries, so when they do get that first apartment, there will have plenty of books to fill up that IKEA bookshelf. These titles are all ideal for the 18-25 year old set, and anyone starting out in the real world for the first time. We receive compensation for purchases made through these links. 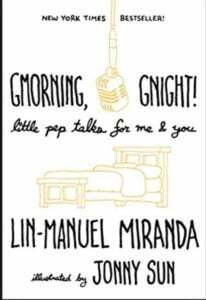 There may be no one who in the adits who inspires more admiration than Lin-Manuel Miranda, creator of the amazing musical, Hamilton. But before he created that mega-masterpiece, he was creating daily tweets to inspire his followers. This book is a collection of his very best and is already a New York Times Bestseller. 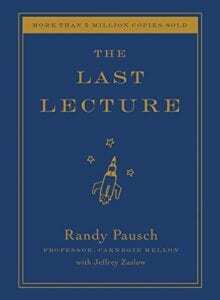 New hardcover edition of one of the most famous lectures ever given, Pausch’s wisdom, humor, and inspiration belongs on every new grads bookshelf. Facing a terminal diagnosis, computer science professor Randy Pausch gave his students (and all of us) a true gift when he shared his advice for really living, all while he was dying. This is a must own title that young adults will reach for again and again when coming face to face with the real world. Admiral McRaven has put into print his viral commencement address he gave at the University of Austin in 2014. 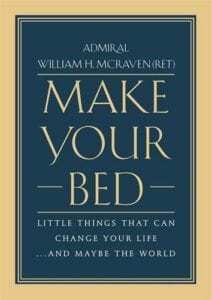 Sharing his 10 principles to success that he learned in Navy Seal training, as well as stories from his life and interactions with leaders in the service, McRaven’s collection of little things that make a big difference will inspire and give hope to new graduates. Applicable to all young people (not just those in the armed forces), this book makes a terrific graduation gift. Jennifer Dulski, the head of Groups at Facebook, and former president of Change.org, explains how you can turn your mission into a movement that creates change–whether you’re at a startup or a political campaign, at a Fortune 500 company or a local community group, or an intern or a CEO. Anyone can spark change if they believe in the power of taking action, no matter where, or how small, they start. 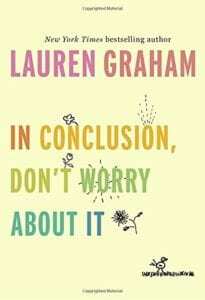 Graham, already a bestselling author and the star of Gilmore Girls and Parenthood, gave a commencement address at her hometown high school in 2017 that ultimately spurned this book. 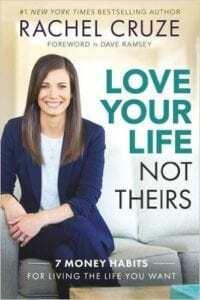 This short, gift style title is chock full of nuggets of wisdom for young women, especially new graduates. Warm, funny, and smart- Graham is a gifted author, and this book feels like a relatable and welcome friend sitting across from you. 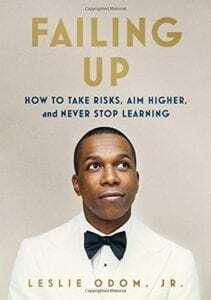 Failing Up: How to Take Risks, Aim Higher, and Never Stop Learning by Leslie Odom, Jr.
We often don’t think young people the age of Odom are qualified to write about life experiences and failings, but this book is the exception. Odom burst onto the scene in Broadway’s “Hamilton,” and has since become quite the young star. However, he spent years as a struggling actor and singer, and this book chronicles all of those difficult years, as well as what life attitudes he maintained in order to achieve his dreams and goals. Odom writes eloquently about the obstacles he overcame, and what hard work truly looks like. Great read. 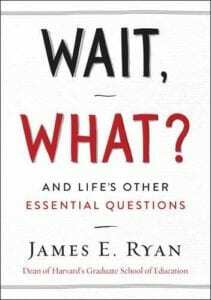 Jim Ryan, President of the University of Virginia, celebrates the art of asking—and answering—good questions. This is based on yet another commencement address that went viral, and Ryan’s book of questions all young people need to ask is not only smart and inventive, it provides a vital resource for new graduates. Questions are meant to bring “clarity, curiosity, courage, compassion, and conviction” to many of life’s toughest decisions. Does your new graduate use the internet? Then they need this book. Exploring our current culture’s obsession with social media and the often terrorizing and blunt “hate” and “shame” it brings to people, this book is a must read for young adults just starting out, and wanting to learn how to maintain an honest and respectable presence. The perfect digital citizenship toolkit. 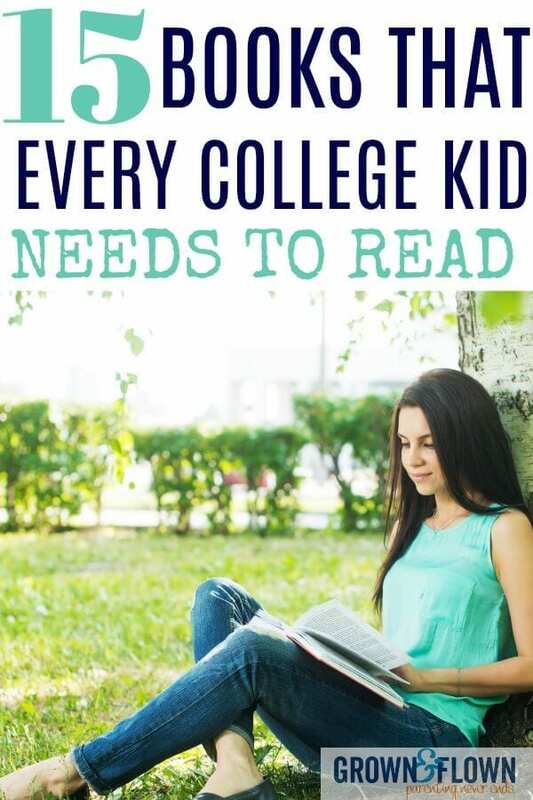 Hand your college grad a copy of this newly newly-released book as they move into (what can be) the slightly scary post-college wold. Here are 38 stunning essays written by top millennial writers who reveal the challenges met and disasters overcome during their own “first year of life.” Excellent and insightful! It’s definitely a different post-graduate world out there, and today’s youth are ill-prepared to deal with the harsh realities of the workplace and self-sufficiency. 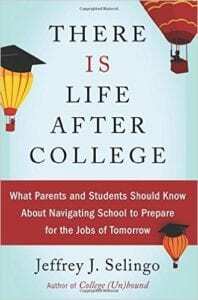 This new guide, from bestselling author of College Unbound, is a delightful and sensible game plan to ease career and post college anxiety of both parents and the newly graduated alike. 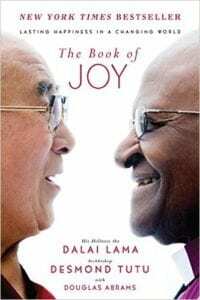 Go on this amazing journey as these two inspirations of our time, His Holiness the Dalai Lama and Archbishop Desmond Tutu, share their secret to having a joy filled life. Read about how even the most dire suffering one can live through, can ultimately lead to a joyful ending. Powerful, full of wisdom, science, and anecdotes, this is one you will want to read first and then give away. Chosen as one of Inc.com 2016’s Best Book for Entrepreneurs, this books will help kick-start the dreamer in you, and set you on a path to doing work that doesn’t feel like work. Ever hear the phrase, find what you love to do and then figure out how to get paid for it? This book is your how-to guide for exactly that. 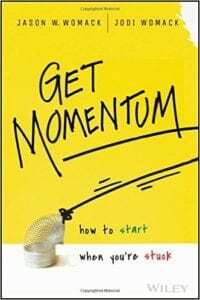 With kindness, accountability and encouragement, Get Momentum will help you tap into your natural way of being to achieve career goals, as well as personal goals. 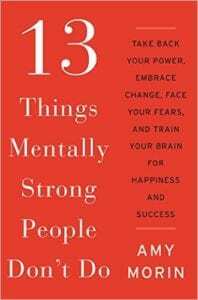 Authored by a psychologist, this book will help you face fear and change with confidence and all the information you need to move on when you’re stuck. Perfect money manual for the new graduate, this book will teach those living on their own for the first time to not get sucked into the “comparison” mess. It will help you re-frame the way you think about money, learn new habits on how to avoid debt, how to properly save for your future, how to have healthy money talks in relationships, as well as how to start giving back. 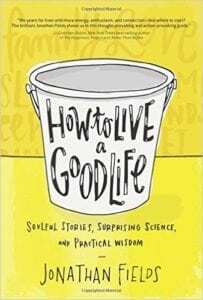 This isn’t another feel good book on how to be happy. It’s an idea model for how to fill you life’s bucket- spending 30 days filling your “buckets” and reclaiming your life. In depth exercises and scientifically based prompts will teach you how to find the path to your own personal happiness. 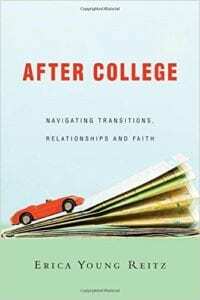 Described as a “must-read for graduating seniors and an excellent resource for everyone seeking to live intentionally, and a sound biblical guide to fortify and encourage faithful transition,” After College may be just want a wandering and questioning soul needs after four years of higher education. Practical advice on forging new friendships, finances, and working to find your true calling in your early twenties. Sadly, our kids are graduating college without the mental stamina and fortitude it takes to do daily battle in the real world. 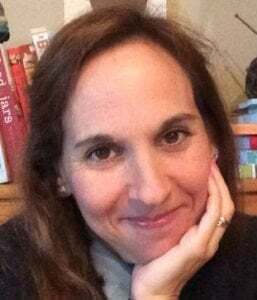 Morin, a psychotherapist, walks us through the steps we must take when we are faced with crushing adversity, and the personality skills we must possess to pull up our boot straps and get back out there. Includes successful strategies to teach how to alter our attitude into positivity, and dramatically increase our quality of life by doing so. Leadership Roles: If Everyone is Leading, Who is Following? We receive a small amount of compensation through some of the Amazon inks in this post.